THIS CAPTIVATING RAISED RANCH LOCATED IN DESIRABLE SMITH CREEK SUB OFFERS OVER 2300 SQUARE FEET OF VERSATILE LIVING SPACE! 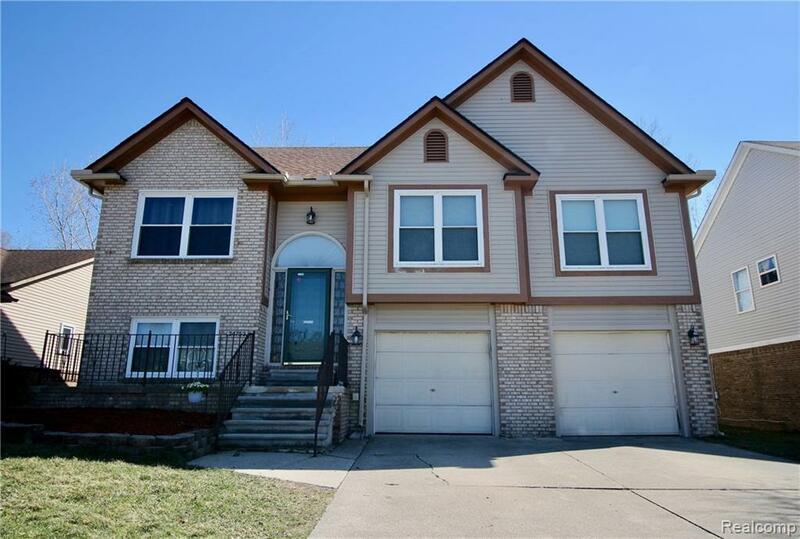 5 BEDROOMS, 3 FULL BATHS SITS ON A PREMIUM LOT AND IS EXACTLY WHAT YOUR LOOKING FOR! GRANITE COUNTERS AND STAINLESS STEEL APPLIANCES COMPLETE THE BEAUTIFUL AND FUNCTIONAL KITCHEN. LIVING ROOM BOASTS A NATURAL FIREPLACE, VAULTED CEILING, PERGO FLOORING AND FRENCH DOORS LEADING TO THE AMAZING 2 STORY DECK WITH THE FANTASTIC VIEW OF YOUR YARD, THAT BACKS TO THE WOODS! MAIN LEVEL MASTER BEDROOM WITH EN-SUITE BATH WITH LARGE SOAKER TUB, SEPARATE SHOWER AND WALK IN CLOSET. LAUNDRY CONVENIENTLY LOCATED ON THE MAIN LEVEL. LOWER LEVEL OFFERS A SPACIOUS FAMILY ROOM WITH WET BAR AND JR KITCHEN AREA, ALSO FEATURES DOOR WALL TO GROUND LEVEL PATIO! *NEW ROOF IN 2018* BLOWN IN INSULATION 2018* THIS HOME WILL SELL QUICKLY SO DON'T DELAY, SCHEDULE YOUR PRIVATE VIEWING TODAY! IDX provided courtesy of Realcomp II Ltd., via Karnak Realty and Realcomp Ii Ltd, Copyright 2019 Realcomp II Ltd. Shareholders. Real Estate listings other than those of Karnak Realty are marked with the Broker Reciprocity logo and detailed information about them includes the name of the listing brokers. Information deemed to be reliable but not guaranteed. Any use of search facilities of data on the site, other than by a consumer looking to purchase real estate, is prohibited. Last updated on 2019-04-21.